FitzRoy, one of the fastest supercomputer weighing 18 tonnes, equivalent to 7000 laptops working simultaneously, supplying information on future severe weather, as well as greater world issues such as climate change, has been targeted by a computer hacker assumed to hail from China. FitzRoy is owned by Niwa and is housed in a specially constructed room at the National Institute for Water and Atmospheric Research base at Greta Point, Wellington. John Morgan chief executive of Niwa confirmed the news on May 23rd that supercomputer's security has been compromised by "an unauthorized person" overnight on Thursday. He further said- "We immediately isolated the supercomputer, and switched functionality to back-up facilities in Hamilton"
"We are . . . confident the intruder did not get beyond the supercomputer." 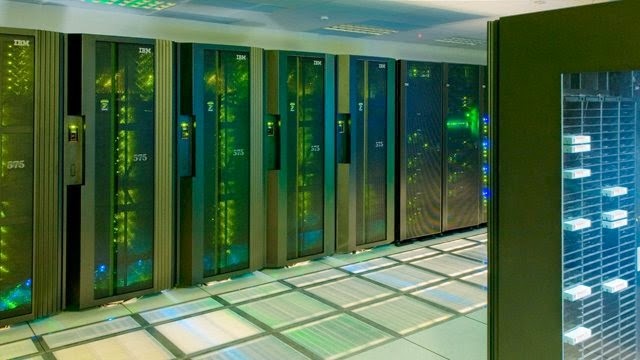 FitzRoy provides a Capability Class supercomputer for use by New Zealand scientists working at the forefront of some of the largest scientific challenges faced by the nation. It is the fastest machine of it's kind in the southern hemisphere and comfortably in the world's top 500 supercomputers. It has a peak speed of 34 Tflops which a low latency, high bandwidth interconnect allowing the machine to act as a unified tool to solve the largest scientific problems. Though it has been confirmed that the attacking IP address is from China still it cannot be confirmed that the attack originated from China, Prime Minister John Key said.“I would be very wary of attributing it to any country,” he says. Meanwhile Niwa assures that the attack was in vain and FitzRoy has resumed its work normally. "After taking a number of mitigation steps, the supercomputer was back online on Saturday evening with all normal services resumed," Niwa says. Furthermore security expert Dr Paul Buchanan — a former policy analyst for the US Secretary of Defense advising the Pentagon — told NBR the attack followed the Chinese pattern of cyber trawling.He suggests the attack was to look for a back door or weak link, if Fitzroy is connected to other government computers. But Daniel Ayers, a one-time Ernst & Young computer forensic expert and fraud investigator now private company Special Tactics, has different interpretation.He says-the attack could be used to mount a brute force attack on encryption of the supercomputer. "The culprit in this case might have been seeking to establish a ‘botnet’ of super computers to solve a particularly difficult problem — possibly cryptographic. Or they might have suspected that the machine had covert classified uses, and it may do.”-he adds. On the way we can now be sure that the day is not far when the security of super computer can be interrogated heavily.